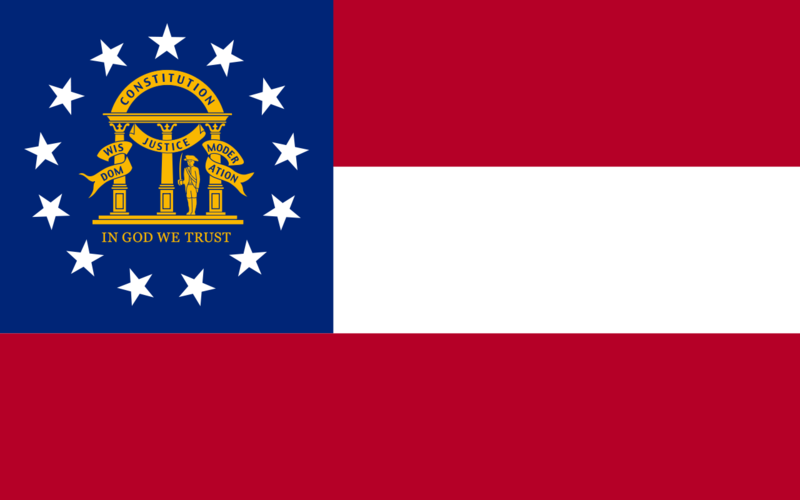 Georgia’s legislature passed its first Compulsory School Attendance law in 1916. This statute required children aged 8 to 14 to attend school for four months every year, or their parents would face a small fine. Exceptions to the requirement to attend public school included alternate school attendance, completion of 4th grade, poverty, disability, distance, or discretion of the local school board. The 1919 Code of School Laws extended the requirement to 6 months of school each year, and children were required to finish 7th grade. Penalties for truancy were increased in the Compulsory School Attendance Law of 1939 to include jail time. In the Compulsory School Attendance Law of 1945, the state specified that all children between the ages of 7 and 16 who had not completed high school must attend public or private school for 175 days unless excused by the school board or mentally or physically disabled. Children who did not attend were considered delinquent. The law also required schools to maintain a full-time teacher and part-time staff, subject to oversight from the State Board of Education and State Department of Education. A 1961 law titled Suspension of Operation and Reopening of Local School Systems defined “local [public] school system” to “mean and include all county, city, independent and other public school systems in existence in this state, whether created before or after the Constitution of 1877.” The Compulsory School Attendance Law of 1969 made parents legally culpable if their children did not attend school. Some Georgia parents began homeschooling their children in the 1970s. To do so legally, “a parent had to inform the local superintendent and get permission to operate as a private school.” This was possible because Georgia law did not define “private school.” Private schools did not require state accreditation to operate. However, families homeschooling their children did not fit the conventional understanding of a school, and thus whether they could be counted as a private school was a disputed question. Homeschooling parents argued that because Georgia had no statewide definition of “private school,” there was no obstacle to counting home study programs as private schools. However, not all superintendents cooperated by allowing this interpretation, so many parents were forced to homeschool in secret. If discovered, they were required to send their children to school. According to the Georgia Home Education Association, parents skirting the law sometimes moved to another school district upon discovery so that they could continue homeschooling in secret there. In 1979, Patty Blankenship refused to either send her children to school or move out of the district and was arrested for violating Georgia’s compulsory education statute. Her case was thrown out because the magistrate judge ruled that her children were not allowed to testify, and the prosecution could call no other witnesses. Blankenship argued that her homeschool was a legal private school, but school officials and law enforcement refused to recognize it as such. The prosecutor, William Mumford, still wanted to prosecute Blankenship and obtained a retrial, but that proceeding resulted in a hung jury and Blankenship was allowed to continue homeschooling. Charles McDaniel, the State Superintendent of Schools, attempted to convince the 1980 State Board of Education to adopt a definition of private school that would exclude homeschoolers by requiring private schools to have a minimum of 15 students, a facility primarily used for education, and a teacher with an accredited college degree. At this point, Georgia’s code contained no provision for homeschooling as such. As a result, home study programs were only legitimate if they were formed as private schools. McDaniel’s proposal would have closed the only legal avenue for home education. However, the proposal never came to a vote. During the period, School Superintendent McDaniel was still trying to convince the State Board of Education to adopt a definition for private school that would make homeschooling illegal. However, McDaniel’s proposal was scheduled for a vote on February 9. In the intervening three weeks, GFE distributed information packets around the state and heavily lobbied the State Board of Education. They showed up in force to the February 9 meeting to prevent this proposal from taking effect. Provide school officials with a declaration of their intent to homeschool. Provide a list of the names and ages of all students taught in that home school. Hold at least a high school diploma or GED if they teach their own children–they were not allowed to teach children besides their own–or employ a tutor with a baccalaureate degree. Include at least these subjects: reading, language arts, mathematics, social studies, and science. School the children for 180 days, 4.5 hours per day, each year. Keep and submit attendance records monthly. Take nationally standardized tests once every three years. Write and keep an annual progress report with individualized assessments for each student. The law recognized three educational options: public school, private school, and home study programs. While the requirements for homeschools and private schools shared many similarities, two provisions for private schools made it difficult for homeschoolers to register as such, as some homeschoolers had done in the past. First, the private school must be privately controlled and operate on an ongoing basis. Second, the building it used for education must pass state and local healthy and safety standards. Under SB 504, which set the tone for the state’s oversight of homeschooling and remains largely unchanged today, parents were required to submit attendance records to the local superintendent but were not required submit either their children’s standardized test scores or their annual assessments of their children’s progress. The law assumed that local school boards would monitor for academic neglect, and assessed a fine on homeschooling parents who failed to meet the requirements of the law, but made no provisions for this monitoring. In the late 1980s, GFE leader Connie Shaw moved to Texas and the organization became much less active. However, homeschooling pioneer Gregg Harris of Oregon began conducting seminars and curriculum fairs in Georgia in 1986. In 1992, Georgia homeschoolers founded “a viable, politically-active, state-wide organization” called the Georgia Home Education Association (GHEA), a Christian organization designed to replace the faltering GFE. The GHEA is still the largest homeschool organization in the state. In 1994, the GHEA was involved in national grassroots effort led by the Home School Legal Defense Association (HSLDA) to amend the federal Improving America’s Schools Act of 1994. This involvement energized the organization and helped build the political strategy and outlook of Georgia homeschoolers. HSLDA became involved in a case in Georgia in 1995 when Debbie Gaskin was arrested and compelled to post $500 bond for homeschooling her daughter following a sprained ankle. Local officials had refused to give her permission to homeschool, so she had contacted the State Department of Education for permission and had filled out paperwork with them. When HSLDA informed the local government of Mrs. Gaskin’s right to homeschool, they dropped the truancy charges. In 1996, HSLDA brought a lawsuit against school officials, who settled for $13,750 before the case came to trial. Georgia homeschoolers employed the tactics learned in 1994 when in 1997 Representative Carolyn Hugley introduced HB 586 in the Georgia legislature. This bill would have required homeschooling parents to have a baccalaureate degree and tutors to be approved by the State Board of Education. In addition, it proposed to double the frequency of assessment reporting and require local superintendents to collect and keep more assessment information. It also provided for probation or remedial instruction if the student failed the assessment or testing and prohibited molesters and abusers from homeschooling. Georgia homeschoolers successfully prevented the bill from becoming law. More recently, HSLDA briefly provided counsel on educational neglect in a divorce and custody battle in Georgia, In the Matter of P Children. The paternal grandmother had alleged that the mother, who homeschooled the children, neglected them, including educational neglect. The Department of Family and Children’s Services investigated and filed a deprivation petition. In January 2006, the grandmother filed a deprivation petition, and the mother’s attorney consulted with HSLDA. However, when the petition was dropped in March, HSLDA withdrew from the case. The parents settled the homeschooling question in the following divorce proceedings, but HSLDA kept no record of the conclusion they reached. This case changed nothing about the status of homeschooling in Georgia, but it does serve as an example of HSLDA’s presence in the state. Over the past few decades, legislators have occasionally proposed to lengthen the number of years Georgian children are required to attend school. During the 1990s the period of compulsory attendance was increased by one year, so that children are now required to attend school from ages six to sixteen. In the past few years, Georgia’s homeschool laws have seen some changes. In 2013, The Comprehensive Education Bill (HB 283) sought to tidy and modernize Georgia’s educational language. GHEA board members met with the State Board of Education to request changes to Georgia’s homeschool laws, and Representative Ed Seltzer successfully added these changes to HB 283. With these changes, parents are no longer required to report to their local school board, but rather to the state superintendent. In addition, they are required to keep attendance records for three years, but the requirement that they submit them annually is removed. This law also made homeschoolers eligible for Georgia’s GOAL scholarship, a need-based tax credit for parents of children attending private schools. Additionally, parents gained the authority to generate school attendance documents needed for things like work permits and driving permits and licenses. The bill passed overwhelmingly in the house and passed in the senate after amendments were made. Most of the controversy surrounding the bill was over non-homeschooling issues, mainly the cost of the increased tax credit provisions, not the changes to homeschooling reporting. The state of homeschooling law in Georgia has remained largely the same since these 2013 changes. In 2015, a bill was passed into law requiring parents to list the name of their local public school on their application of intent to homeschool. Sports access legislation was introduced in 2007, but failed to pass and has not been reintroduced. Because they are not allowed to participate in high school athletics, Georgia homeschoolers operate an independent sports league. The current status of Georgia law gives homeschooling parents a high level of autonomy, requiring minimal contact with the state, and as a result offers homeschooled students minimal protection against educational neglect. While the GHEA is the main statewide homeschool organization and maintains the most significant political presence, there are upwards of forty local and statewide homeschool organizations in Georgia. This includes a number of secular homeschooling organizations dating back to at least 2000. This state history was composed by Josh Arnold, a CRHE intern, in the summer of 2015. Josh was homeschooled from kindergarten through high school and graduated from Patrick Henry College in 2015. He plans to obtain a master’s degree and become a policy analyst and social commentator. For more on homeschooling in Georgia, see Georgia.